Save money, upsize! – HubNut – celebrating the average! The days of super-cheap cars appear to be with us once more. People are looking at economy figures more closely than ever, but I’m not sure they’re actually saving money by downsizing. Take this car for instance. It’s a 1991 Saab 9000 that I bought a few years ago. It was a lovely machine: swift, comfortable, powerful and able to deliver 35mpg on a run. I paid £595 for it and couldn’t believe my luck. It had 124,000 miles on the clock, full main dealer service history and I was only the second owner. Aside from rather sloppy initial turn-in when driving hard, I really couldn’t fault it. In one weekend, I took it from home in Aberystwyth to Suffolk and then to Croydon near London before returning home. It ate miles up with no bother at all, while delivering economy you might not expect from such an enormous beast. Let’s say for instance that rather than taking the little Sirion to Scotland, we’d taken the Saab. Calculations reveal that yes, the larger car would have cost more, but only £60 more over the course of the 1577 miles we covered. Now, £60 is a useful amount of money, but it doesn’t seem a lot to pay for extra comfort the Saab offered. The difference between 35mpg and 45mpg is therefore not as vast as you might think. People don’t see that though. They see an economy figure and assume that it makes a massive difference. They get so blinded that they pay much more for a newer, more economical car, when it probably made much more economical sense to keep what they had. Unless you’re swapping a Land Rover V8 for a Smart car, you’ll notice less of a difference than you may expect unless you’re clocking up vast amounts of miles. With the Land Rover heading to new shores, I’ll be looking to bag myself another barge once the tax bill is out of the way. 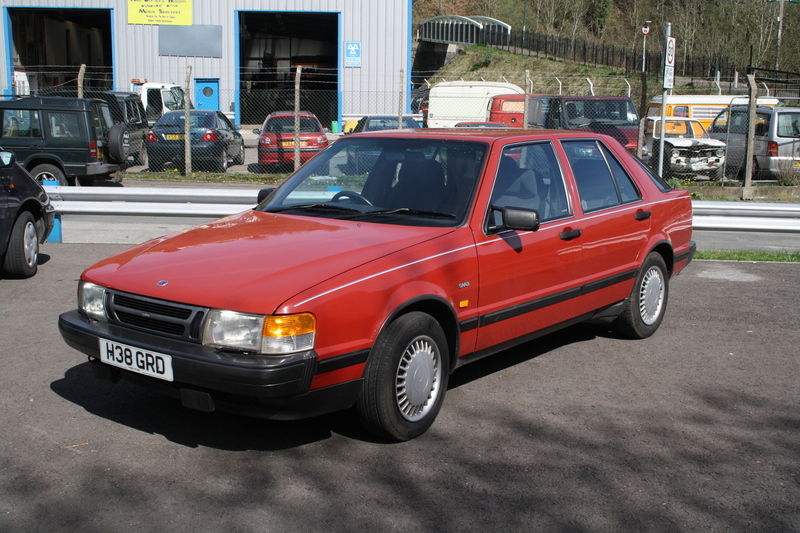 It’s been painful to watch an MOTd Vauxhall Carlton 2-litre sell on Ebay for less than £200. £200! For a road legal car – and a nice one at that. Here’s hoping that the bargain barges are still around when I actually have funds.